Forty-seven chairmen of political parties, under the auspices of Concerned Leaders, have protested the candidature of Chief Peter Ameh of the Progressives Peoples Alliance to contest the Chairmanship of the Inter-Party Advisory Council (IPAC). They alleged gross financial misappropriation against Ameh during his time at the Council between 2014 and 2015. They also alleged that that he connived and diverted the sum of N2.418 million belonging to the council for a fictious computer training that never took place at a school belonging to him. In a protest statement signed by the National Chairmen of Independent Democrat, Chief Edozie Madu and Prof. Bankole Okowa of the Unity Party of Nigeria made available to newsmen in Abuja, the concerned leaders also alleged that Ameh has through his activities undermined the council and creating division after losing election into the body in 2015. The concerned leaders also accused Ameh of making the tenure of the executive in the 2015 election in governable just because he lost out, using vitriolic and acerbic verbal abuse unbecoming of a leader to rubbish the process conducted by INEC. They said, “You (Ameh), participated in the IPAC National Executive Committee election of July 24th 2015, as a candidate for the position of chairman, an election supervised and certified as free and fair by Independent Electoral Commission. You and all those who lost the election did so by narrow margin. “Upon announcement of the results, all those who lost in all other positions congratulated the winners but you stormed out of the election venue after subjecting members of IPAC Election Committee and officials of INEC to vitriolic and acerbic verbal abuses, in a conduct unbecoming of a leader. “Thereafter, you took the winner of the election, INEC, and IPAC to court and, throughout the tenure of the 2015 executive committee, you boycotted and undermined the council. 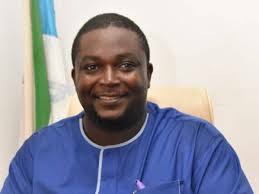 The political parties chairmen, challenged to render account of his stewardship as IPAC Secretary General between 2014 to 2015, to exonerate himself if he feels their allegations against him are not true. The concerned political leaders advised Ameh to honourably jettison his ambition to chair IPAC, and respond to the allegations levelled against him, expressing worry that his emergence may dent the image of the organisation.